I know, I know. It’s Monday. But that doesn’t mean that a little cocktail is out of the question. It is summer, after all. Because I mean, seriously… what else are you going to do with 31 cups of chopped watermelon?I love watermelon as much as more than the next girl [in my youthful days I may or may not have told my mom I’d eat an entire watermelon on my own…] but 31 cups? From one melon? You’ve got to be kidding me! oh my goodness… watermelon galore! A little sweet + a little tart + a little fizzy + a little kick = a whole lot of refreshing. I’m not one who drinks often, but when I do, I gotta love it… which to me means fruity, fun, and without the overbearing taste of alcohol. 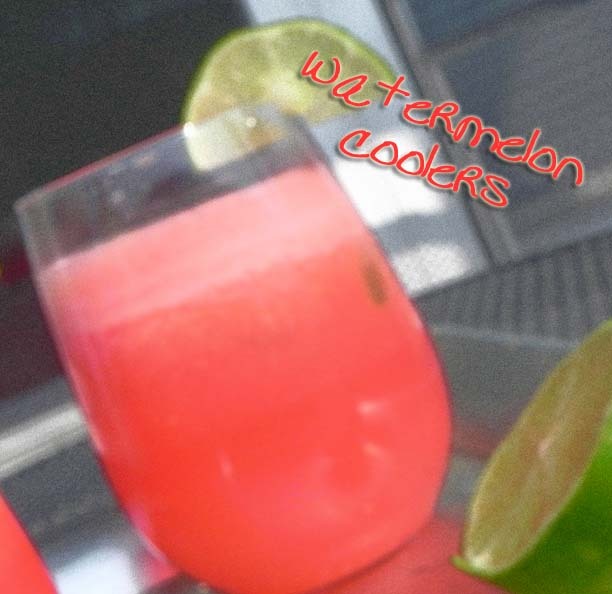 These Watermelon Coolers are so refreshing and fresh that I’ve made them time and time again this summer [if time and time again means twice… I told you, I don’t drink often!]. It’s the perfect afternoon treat, and could instantly become family friendly by omitting the tequila. Either way, it’s a sip of summer, so enjoy while it’s still here! What part of summer do you want to soak up before it’s too late? I know I’m going to be gobbling down as many berries, melons, and tomatoes as I can in the coming weeks! Yum! 3-4 ounces tequila, depending on how strong you like it – optional! 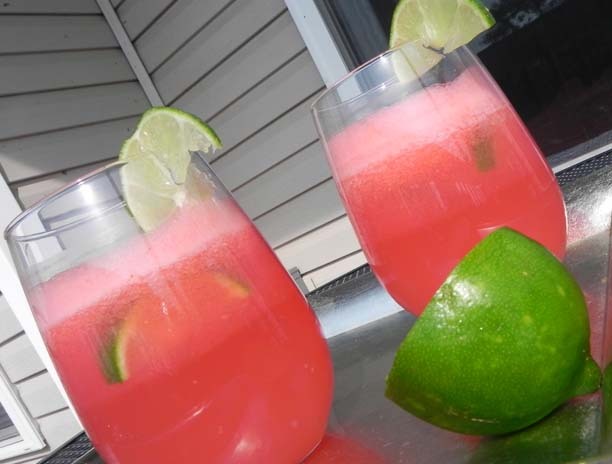 In a blender, mix together watermelon, Sierra Mist, and juice of half a lime. Blend until watermelon is pureed. Stir in tequila, if using. Garnish with remaining lime. Serves two. I need to spend more time on the beach before it’s too late! This week is my chance for regular walks, because the weather has gone from the 90s back down into the high 70s and low 80s. The beach is two streets away from our apartment, so now that it’s cooled down I have no excuses! You see, I like to think “It’s Monday and so it is the absolutely PERFECT most NECESSARY time for a watermelon cooler”! These look fabulous and oh so refreshing.